the market! alpha charges what they will get..
Edited by Promontory Kingpin, 04 February 2019 - 04:02 PM. Kingpin, your last post was removed. This is not a dumping ground for anonymous grievances. You've said your piece, now move on. Methinks it's always going to be difficult to make direct comparisons between concrete condo towers in areas like Oak Bay/Fairfield/Oaklands and concrete condo towers in Vic West/downtown. 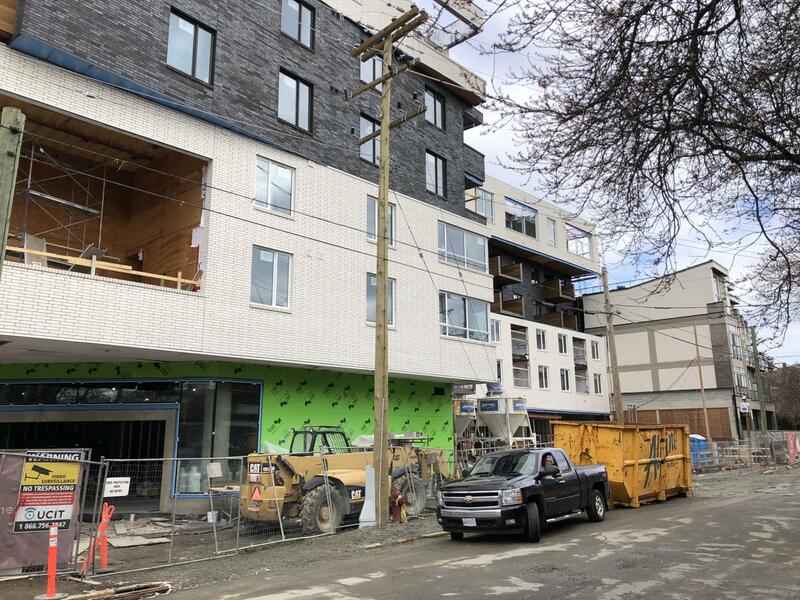 But everything built by Alpha Project Developments over the past decade has been concrete (Aria in 2009 followed by the Mondrian and Legato; 1400 Quadra is now underway and will be a concrete rental tower). Are you confusing Alpha and Abstract...? Bellewoods may (is) at a premium price per sq. ft. 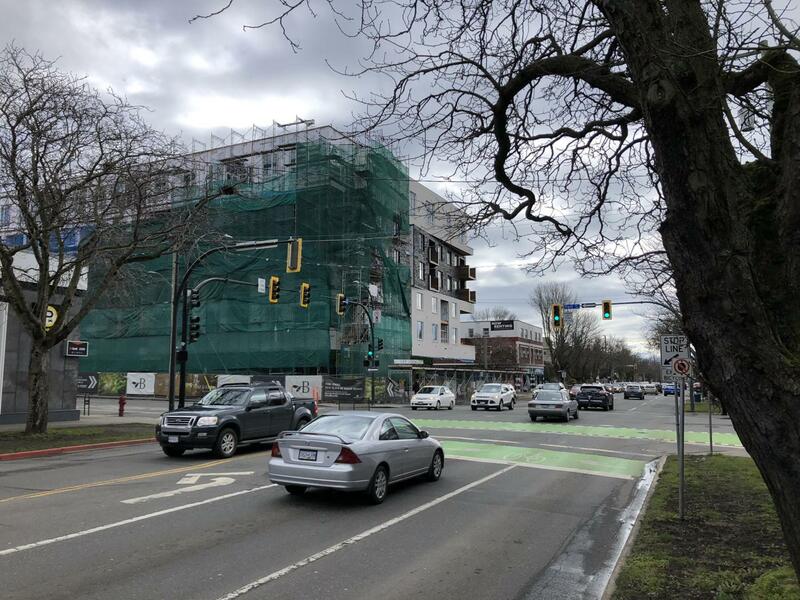 But if you are living in Oak Bay or Rockland and downsizing into a ("NEW") condo from a home you, likely want to stay in the area and not live downtown. So what are your options? Every city has buildings in certain areas that have a niche. Buyers from other provinces that have high property values also find these type of developments attractive, even at the current price points. Affordability is only relative to your own success. You are right Glen, this is a niche project which is relatively modest in scale. 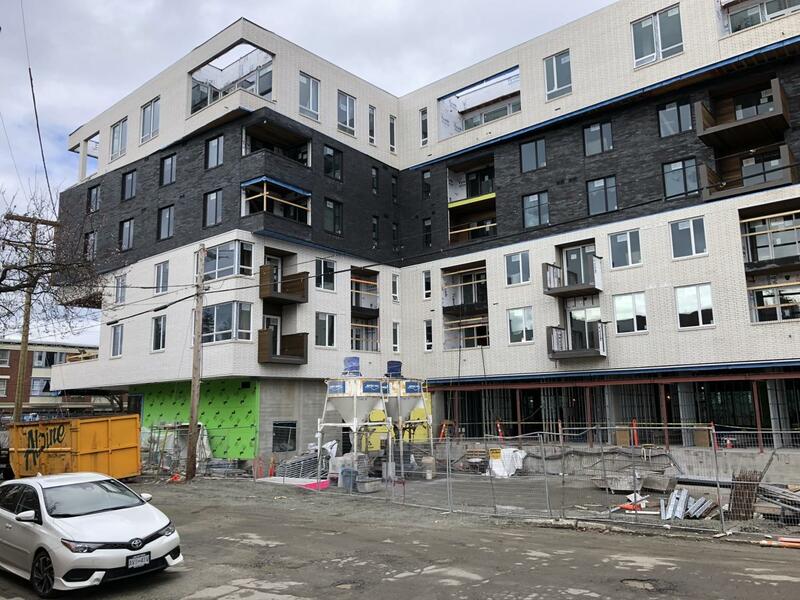 It's only 83 units in total (51 in concrete 6 story Oaks; 23 in frame 4 story Cypress; and 9 frame three-story townhouses). Irrespective of affordability, no one wants to make a bad investment decision, and the retirees purchasing units in this project will have an investment/resale time horizon. The three components are presumably targeted at quite different groups of buyers. Abstract's challenge will be trying to charge premium pricing for the smaller units, say those less than ~75 sq.m. At some point simply having a Wolf stove and LED closet rods doesn't compensate for a lack of space! Some really nasty telephone poles here and on the Johnson Street project that are real eyesores. Thanks for all the pics Marko! 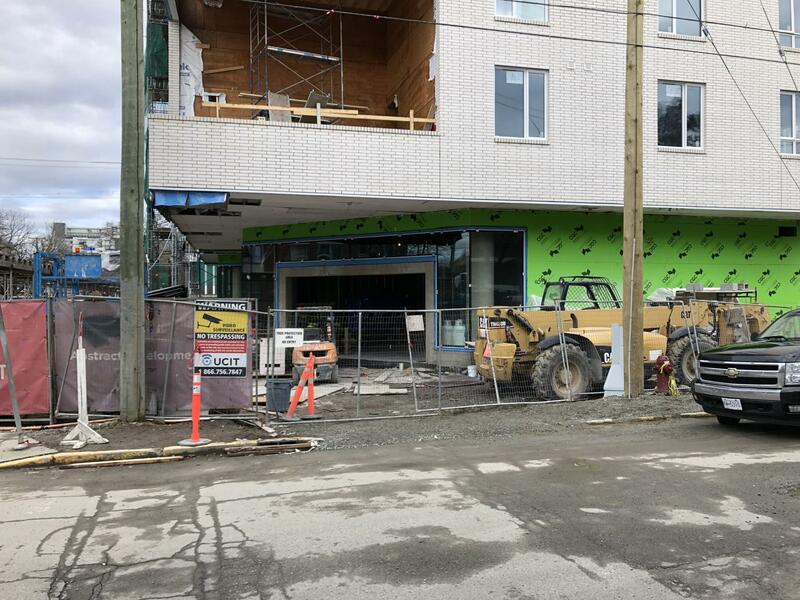 If downtown Victoria ever enjoys a sustained period of development and redevelopment I think we can safely assume that the authorities would take advantage of the opportunity to put the lines underground. ...different cities have made different calls on whether or not to bury lines. The EIA notes that many denser urban areas, like Manhattan, have figure out how to bury lines relatively cheaply—especially in places where construction crews are already digging anyway for new buildings. And some cities are willing to bear the cost: Anaheim, Calif., for one, has decided to bury all its lines for aesthetic reasons, funded by a 4 percent surcharge on customers. The CoV doesn't own the lines and BC Hydro hasn't made it a priority to go underground. They offer a pittance to municipalities if they decide to require that lines be buried, so that means developers pay. Perhaps with the mother of all evil coming to impact us all ("Climate Change"), the CoV will reconsider its approach. Storm events always lead to a reexamination. Aerial lines also result in significant pruning of precious trees (forget the non-native varieties) - that's another reason to reconsider policy. Forget aesthetics, think of the trees, and minimizing the loss of internet connections and air conditioning. If only! I have long been an advocate for burying hydro lines. When you walk or drive down a street such as Wharf, where the wires are buried, how much nicer is that! Not only do they keep the overhead wires, they cut the heart out of our magnificent trees. There must be political pressure put to bear on Hydro to move on burying more of the lines. Every time I drive by this building I shudder, it's so ugly. The underground wire route isn't always a good idea. As one of our VV forumers has said, burying lines comes with its own complications and maintenance issues that can be costly over the medium and long terms. Above ground lines are unsightly, but they're economical to maintain and can be more resilient than underground lines (flooding being a big issue). How to underground power lines fare in earthquakes? There have been far, far uglier developments in town. I don't think that it will live up to the potential of the renderings, but at least it's visually interesting. You're definitely not in Langford. While only a short distance away, I think Jukebox is exceeding its renderings. I was walking by that just a few days ago, and I totally agree. I can't wait until the cladding is finally up.